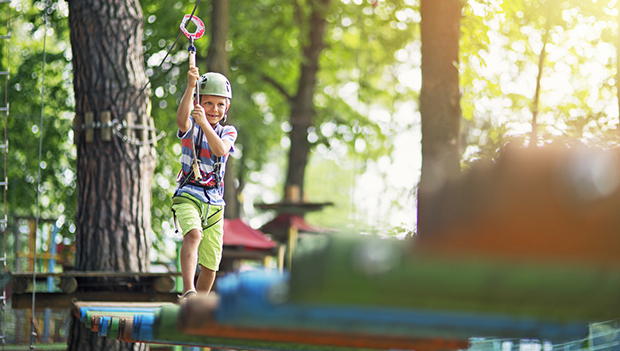 If you grew up going to camp every summer, you're likely well aware of the benefits those summer experiences provided you. But if you didn't, you may not realize the impact summer camp can have on the developing minds and bodies of your children. In addition to providing parents with a childcare option over the summer months, camps can help children with both short-term and long-term development. Summer break can negatively impact children in two major ways: Not only are children in danger of falling behind academically over the break, but studies have shown that children are more prone to weight-gain when they're out of school. Camp means more time running, playing and thinking and less time on the couch or in front of a screen. Summer camp can also help children make new friends. Whether your child is learning to live with new bunkmates at overnight camp or meeting new kids at a local day camp, getting out of the house can expose them to a more diverse group of children than they may interact with on a regular basis. If your child spends all summer watching TV or casually hanging out with friends, returning to the daily routine of the classroom can be a tough adjustment during the first week of school. Even if the camp doesn't last the majority of the summer, holding children accountable to a regular routine over the break can help ease the transition into the new school year. It doesn't matter if you're considering a sports camp, a performance camp or a camp with a little bit of everything; your child will come home with new, unique experiences, having met new people and learned new skills. All that "new" adds up to a lot of growth that can give kids the confidence to handle challenges at school and later in life. Find a summer camp near you.